Former Southern Baptist President Bailey Smith once hatched a scheme called the “Soul-a-Month Ministry.” Smith took stock of the total expenses of his ministry and the number of salvations it was reporting and determined that it was spending $48 for every person it led to salvation. Smith’s advertising pitch was a simple one; send his ministry $48 a month and you’ll be helping save one soul. In effect, Smith had invented a soul-of-the-month club. (Smith’s methods of recording salvations were as questionable as the wisdom as giving him $48 a month.) This particular facet of his ministry is now defunct but Bailey Smith is still helping to pitch gospel sales schemes worthy of QVC and HSN. Smith is a featured player at a ministry found by former Jerry Falwell, Sr. acolyte Jesse Connors, truelife.org. 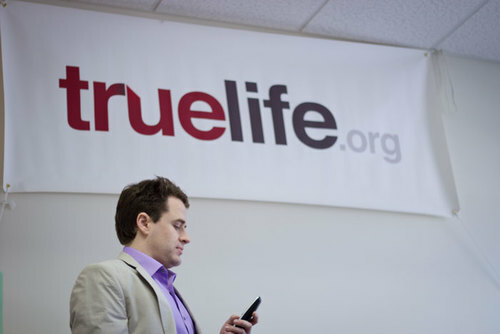 The President and CEO of truelife.org, Jesse Connors, looking very busy and presidential on his smart phone. Apparently I doubling my church size involves paying truelife.org a monthly fee to receive some invitation cards and videos. Using them, I can attract more people to my store church. I can double my church’s size after just one sermon! Wow! Double the size? Just think if every church in the whole world would pay them $39 a month then the entire world would be saved in a matter of decades (that’s how math works, but maybe not the Holy Spirit). That there is a huckster in Lynchburg is old news. What is noteworthy is the number of prominent apologists, pastors and denominational personnel who are helping to push the salvation snake oil sales pitches of Connors and company. 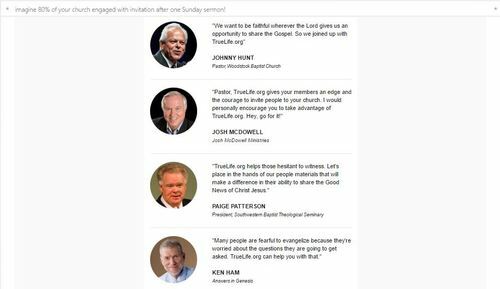 The industrially incestuous bunch of promoters includes former Liberty University board member Johnny Hunt, Falwell’s son Jonathan, Answers in Genesis President and CEO Ken Ham, Southern Baptist seminary presidents Paige Patterson and Danny Akin, and apologist and author Josh McDowell. When a professional evangelist refers to his “ministry” he is often not referring to his gospel-sharing pursuits but rather his nonprofit corporation to which you can write a check. Often times, the “ministry” is named after the very person who convinces the lost person that he needs to get saved…himself. 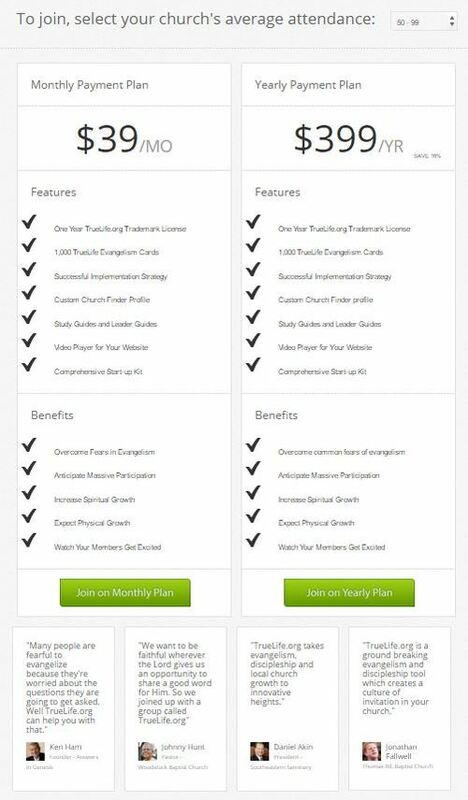 Remember in high school when this money-making scheme was called “Who’s Who”? Too bad Peter and Paul didn’t know about trademarks. I guess that means that I’m not interested in promoting evangelism at my church if I unsubscribe. Who is Rodney Howard Brown? Meet the Holy Ghost Bartender. Ed Young Rightfully Divides and Exposits a…Yo-Yo Performance?